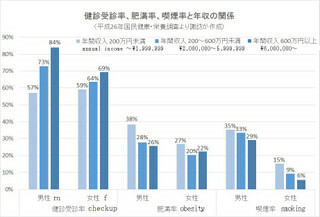 Obesity rates, smoking rates, and uncheckup rates among the low income group are more high than those among the high income group. Yet why does the government lay a economic penalty on the people who don't have a checkup? They need a support, not a penalty.